Agency, 24 January : Being overweight can lead to several health problems – ranging from hormonal imbalances to joint pains and blood pressure. But in a new study, scientists found out that obesity in the stomach area could even have associations with smaller brain size. According to Mark Hamer, a professor at Loughborough University in the United Kingdom and one of the authors of the study, “Existing research has linked brain shrinkage to memory decline and a higher risk of dementia, but research on whether extra body fat is protective or detrimental to brain size has been inconclusive”, the Medical News Today reported. Published in the journal Neurology, the study used a large sample size and determined the body fat figures, the body mass index (BMI), waist-to-hip ratio, and overall body fat of each participant. “In total, 9,652 people involved in the UK Biobank which is a database that tracks the health of around 500,000 people agreed to take part. Participants were aged 55, on average”, the report stated. In order to organise their data, they considered “people with a BMI of 30 and over to have obesity. 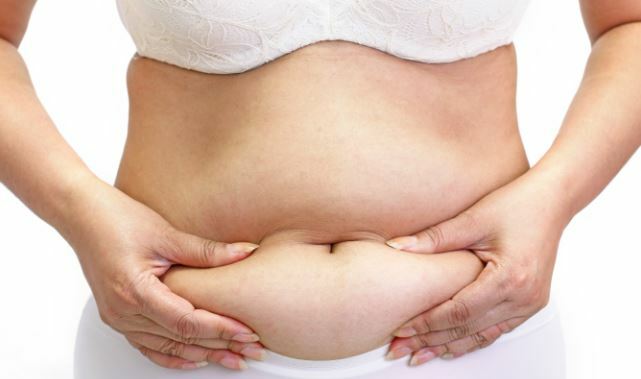 Central obesity — or obesity around the stomach area — is a little different. In this case, a man with a waist-to-hip ratio above 0.90 and a woman with one above 0.85 is considered to have central obesity. The team calculated brain size using MRI scans and examined the volumes of both white and gray brain matter. Both of these are important in different ways”, according to the same report. The findings of the study indicated several links between body fat and brain size and it was concluded that people who had both a higher BMI and waist-to-hip ratio had the lowest brain volume. However, Professor Hamer concluded, “This will need further research but it may be possible that someday regularly measuring BMI and waist-to-hip ratio may help determine brain health”.